There have been a flurry of activities in the printing industry in the past few months. The recent news of IPEX to close down has come as a shock to the industry as it was a legacy, which we all were proud of. While, this news will affect the global printing industry, there are two major happenings in the Indian printing industry. The first was the abolition of anti-dumping duty on digital plates, the second one is the plastic ban in Maharashtra in a bid to reduce pollution. The notification banned manufacturing, use, sale, distribution and storage of plastic materials such as bags, spoons, plates and other disposable items. The ban also includes packaging material and thermocol. However, plastic used for packaging of medicines and drugs, milk and handling of solid waste is exempted from the ban. But, the exemption puts certain mandates in place. The retailers have to ensure the thickness of the plastic packaging material is more than 50 microns and its minimum weight is 2g. Besides, the packaging material has to mention details like manufacturer’s details, type of plastic with code number and buy-back price. This means the manufacturing associations for retail packaging and retailers’ associations will have to create a mechanism for collection of plastic through a buyback mechanism and ensure recycling and final disposal of collected plastic material. This is going to impact the printing industry significantly. With this ban, small packaging printers would be largely affected while those who print on paper and board would get more opportunities. What would be the overall impact of this ban is yet to be seen, but it would have been better to find ways of recycling plastic, rather than putting a ban. Whatever be the outcome, packaging will continue to grow – the media might change. In this backdrop, the PackPlus show is held at Pragati Maidan, New Delhi. There are a host of new launches and live demos planned at the show. 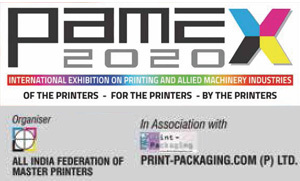 The upcoming PrintPack India exhibition in 2019 is also coming up with a dedicated hall on corrugation and label industry. Barring one or two global players, almost all have confirmed to the show. 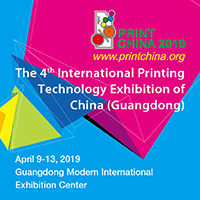 A detailed information on PrintPack is also a part of this issue. The industry is changing but new avenues are also opening up. It is time to flow with the dynamics of the printing industry. 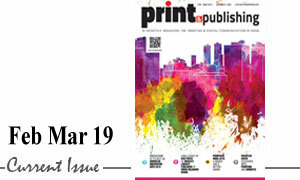 Mega print show in India is here!